Eastland Suites in Bloomington, IL offers year round specials to their guests including romance packages, golf and spa packages as well as family fun packages. Grab your sweetie and enjoy our Date Night Special. Relax in your King Suite while sipping on your bottle of champagne. 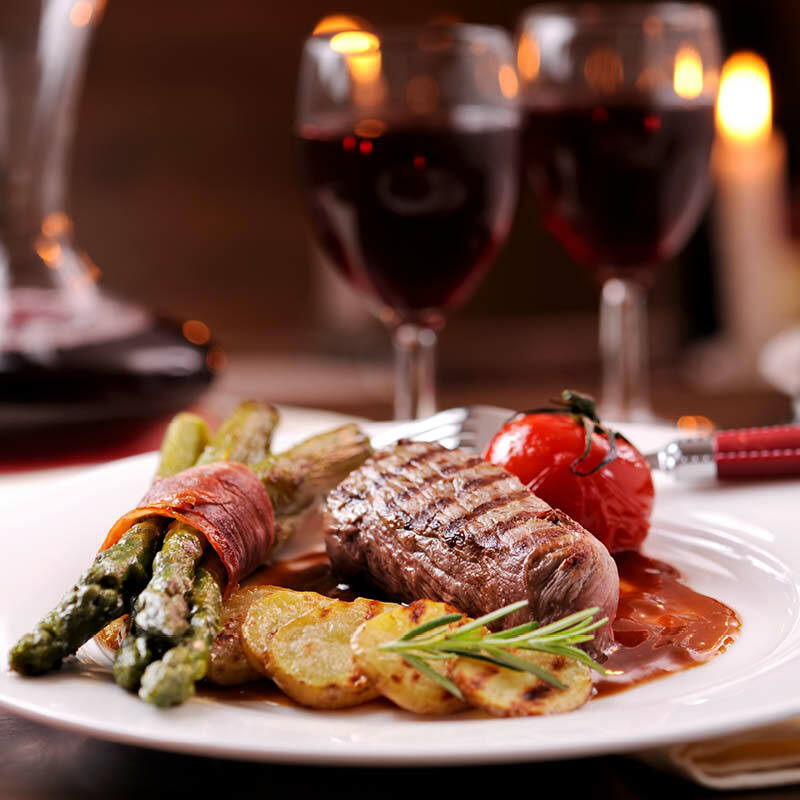 Then get ready for dinner because our shuttle service is going to provide the transportation. Or, splurge for a limo for only $25 more! 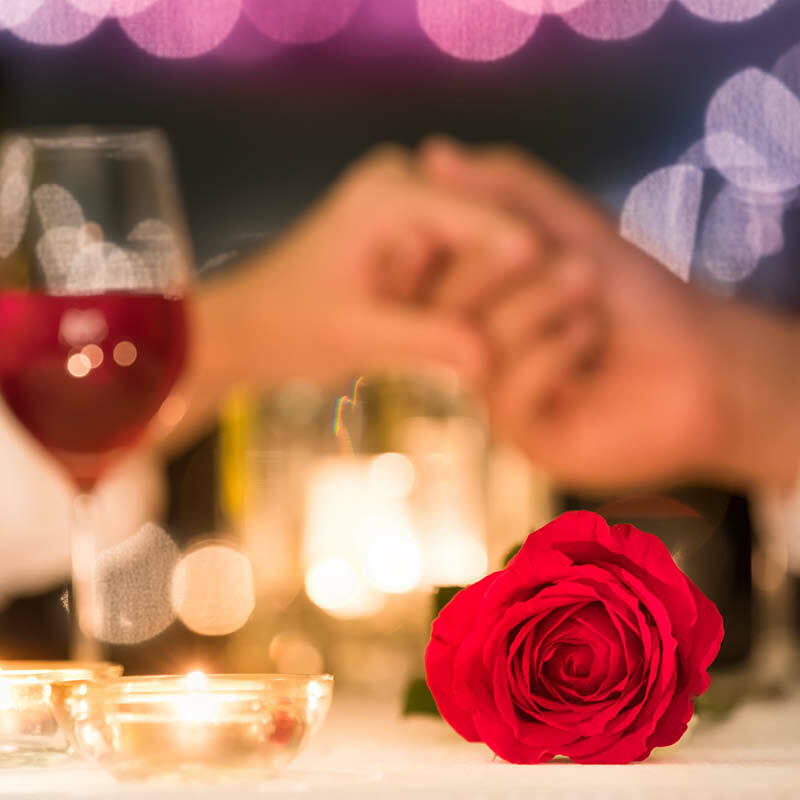 Choose from Jim's Steakhouse, Epiphany Farms/Anju, or Reality Bites for a romantic dinner. After a good's night rest, join us in our sunlit breakfast room for our tasty buffet. Have a VIP coming into town for an important meeting? You take care of them inside the boardroom and we'll take care of everything else. With accommodations in our King Suite they're sure to feel right at home. You tell us where dinner is and we will pick them up and drop them off. We're all about making your life easy and your guest's stay enjoyable. The best part is you'll look like a hero when you stock their room with a bottle of wine and a complimentary Satio gift certificate. Bright and early the next morning we'll have a hot breakfast ready for them to take on the day. Enjoy a weekend getaway with the family! Take the kids to spend the morning with the animals at the Miller Park Zoo. Don't worry about making lunch, this package includes 1 large, 1-topping pizza. Then check into one of our signature guest rooms for a one night stay, relax, or head down to the pool and let the kids swim. Whatever you decide to do in the evening, just know we'll have a coffee brewing and a hot breakfast ready whenever you'd like to join us in our sunlit breakfast room. Discover how much fun it can be to spend the day at the Museum! Featuring three stories of activities and exhibits the entire family can enjoy, the Discover Museum is the perfect place for curious kids. Don't worry about where to eat, lunch is on us! We'll deliver your large, 1-topping pizza to your room. After you're done you can relax in your room, or take the kids to swim and splash around in the indoor pool. The next morning we'll be serving up a hot breakfast so you can relax (for a change) while sipping our fresh brewed coffee. Package includes 4 Tickets to the Discovery Museum. Jump into family fun at the Altitude Trampoline Park. Package includes a one night stay in a traditional guest room, a large 1-topping pizza, and round trip shuttle transportation. You can relax and enjoy yourself knowing we have a whole day of fun planned for you! Package includes 4 Tickets to the Altitude Park (a 10% discount on additional tickets). Enjoy a round of golf at one of Bloomington-Normal's premier courses and a night's accommodation in either a King Suite, Loft Suite, or one of our traditional guest rooms. We offer shuttle transportation to and from the course with additional transportation options for larger groups. We'll also be pouring drinks at our weekday cocktail hour and serving up a hot breakfast every morning of the week. What are you waiting for? It's tee time!